The Lloyd Kurtz Farm typically houses about 100 milking cows and another 80 that they care for. 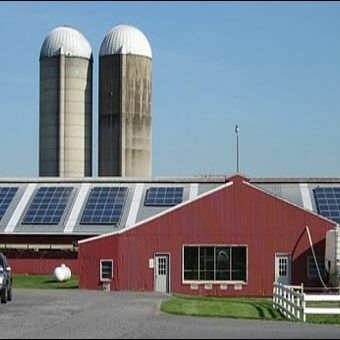 Since 2010, the array has allowed the farm to pay virtually nothing in electricity bills. They were an early adopter of solar and for the last seven years have been reaping the benefits of that investment. Each day the farm goes about its business with a very small electric bill and knowing their power comes from a renewable resource-just like cows.